Aleluia ! Madonna is back ! Enfin...un peu forcée ! Souvenez-vous, elle a adoptée deux petits bambins d’un pays lointain au doux nom de Malawi. Ca ne vous dit rien ? Ce pays africain considère l’homosexualité "acte contre-nature", "indécente" et autres substantifs sympathiques. Ces derniers jours, un tribunal local a condamné un couple d’hommes homosexuels à des peines de prison de 14 ans. Madonna wrote, "I am shocked and saddened by the decision made today by the Malawian court, which sentenced two innocent men to prison. As a matter of principle, I believe in equal rights for all people, no matter what their gender, race, color, religion, or sexual orientation. Today, Malawi took a giant step backward. The world is filled with pain and suffering ; therefore, we must support our basic human right to love and be loved. I call upon the progressive men and women of Malawi — and around the world — to challenge this decision in the name of human dignity and equal rights for all." La Madonne a dit : "Je suis choquée et attristée de la décision de la cour du Malawi d’envoyer deux hommes innocents en prison. J’ai comme principe de croire en l’égalité des droits pour tous, quels que soient leurs genres, races, couleurs, religion, ou orientation sexuelle. Aujourd’hui, le Malawi a fait un pas de géant en arrière. Le monde est rempli de douleur et de souffrance ; c’est pourquoi nous devons soutenir notre droit humain le plus basique d’aimer et d’être aimé. J’appelle les personnes progressives du Malawi- et du monde entier-, hommes ou femmes, à défier cette décision au nom de la dignité humaine et les droits égaux pour tous." Il était temps ! Elle s’était déjà fait coiffer au poteau par Lady Gaga sur l’histoire de la marche des homo américains... Restera t-elle longtemps éveillée ? La verra t-on défiler à la prochaine Gay-pride ? Ca y est ! Ils ont été libéré. Grace à la madonne ou pas ? "International pop star Madonna has welcomed the move by Malawi’s President to free gay couple Steven Monjeza and Tiwonge Chimbalanga, last week. "I have always believed love conquers all. In the last week over 30,000 of you added your name to mine calling for the release of Steven Monjeza, and Tiwonge Chimbalanga – the Malawi couple sentenced to 14 years hard labor for the ’crime’ of homosexuality" she wrote on her website. "With incredible joy I am writing to share with you that Malawi President, Bingu wa Mutharika has ordered their release. Steven and Tiwonge were freed on Saturday night. They have won their freedom and you have been a part of it. "We celebrate this astounding turn of events with Steven, Tiwonge, and the countless Malawians fighting for their release. It is a historic day for Malawi." 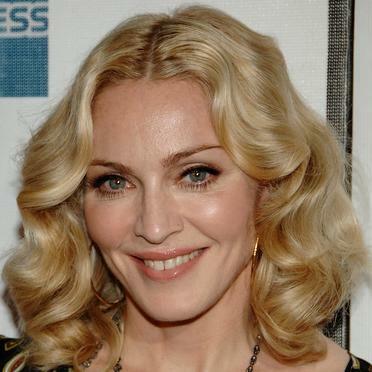 Last month, Madonna - who adopted a child from Malawi - issued a strongly-worded statement condemning the sentences. She adds : "Though they are free from prison, sadly their safety and future in Malawi is still unknown. I hope this is just the beginning of our work together. Human rights injustices continue for so many Malawians facing poverty, disease, and a lack of critical resources. There are still over two million orphans and vulnerable children who need to experience love’s embrace.